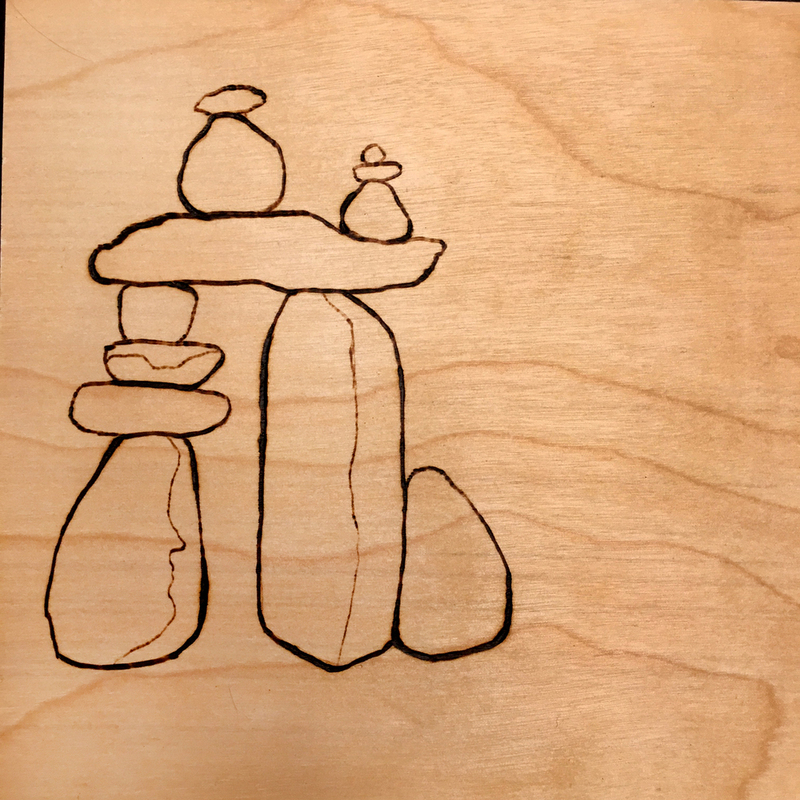 This work was inspired by cairns located in the native Innu community of Essipit, which sits along the north shore of the Gulf of Saint Lawrence in the Côte-Nord region of Quebec, Canada. These man-made stacks of rocks are traditionally used as trail markers and “sea marks,” but have ancient roots as well, serving ceremonial, spiritual, burial, and astronomical purposes. 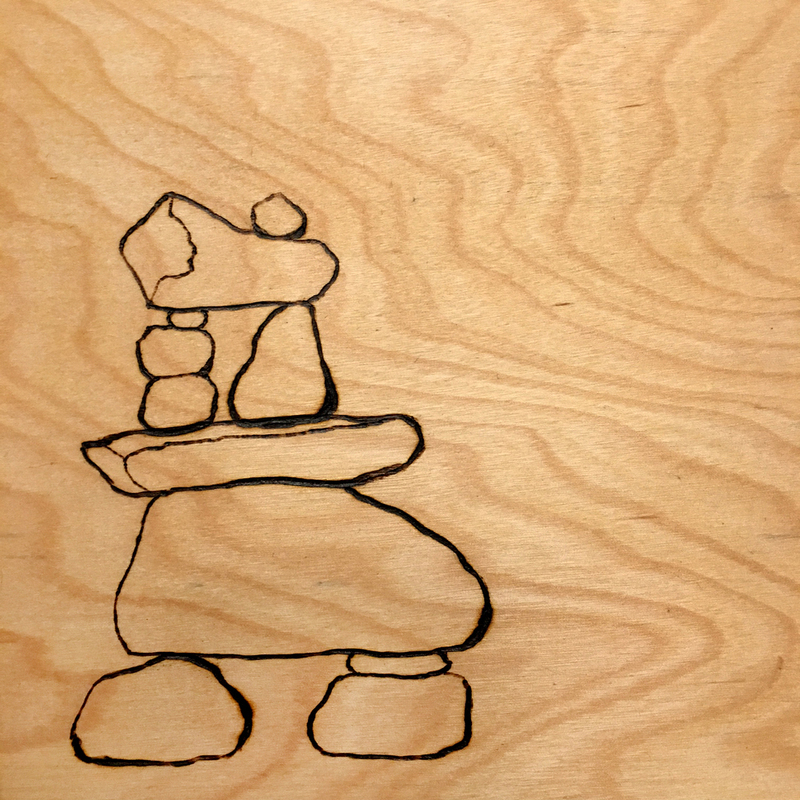 The inuksuk is a type of cairn built by indigenous Arctic peoples and can be found across northern regions such as Alaska, Canada, and Greenland. 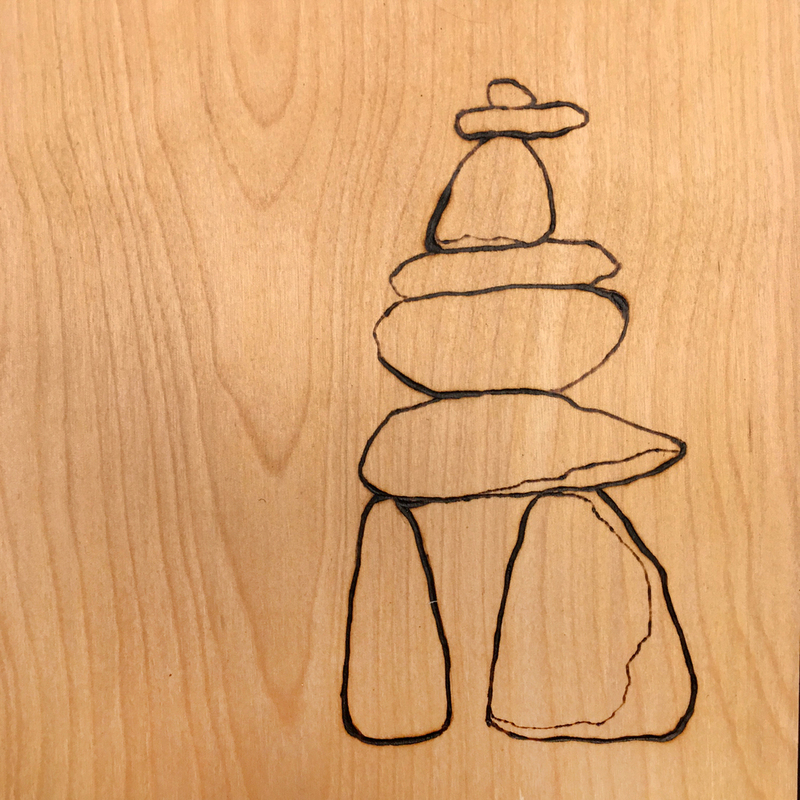 The historical context and purpose of the cairn and inuksuk contrasts with the common activity of people recreationally stacking stones to basically say, “I was here.” This conflicts with the Leave No Trace ethic and revisits prior conversations in my work: the topic of conservation explored while serving as Artist-in-Residence within the U.S. National Parks system and cultural appropriation while volunteering in a small Athabaskan community in Alaska. 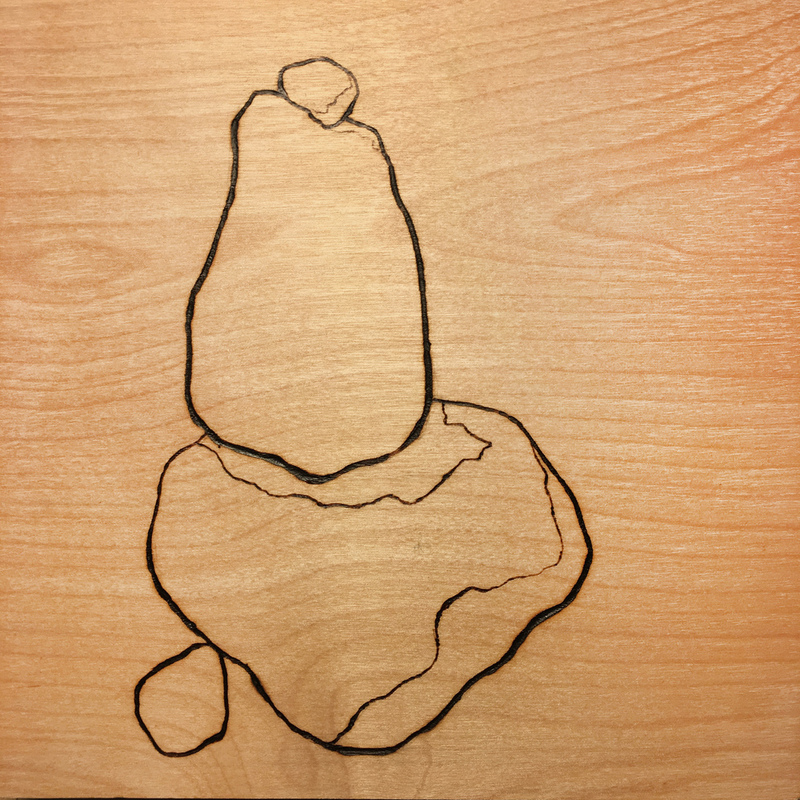 Finding an abundance of these little structures along Essipit’s shoreline, I became intrigued by the practice of mark-making in nature and how this relates to form and function, cultural appropriation, nature conservation, and personal passage. The forms range from bulky to delicate, hastily stacked to perfectly balanced, and big to small. Do they beg the question of who and why, or do they challenge the relevance of intent and symbolize the blurring of cultural, spiritual and functional lines? This work follows this line of questioning, blending accurate source imagery directly from Essipit with my own constructions. The contrast between natural and man-made and intentional and accidental helps to guide choices in material, process, mark-making, and color. 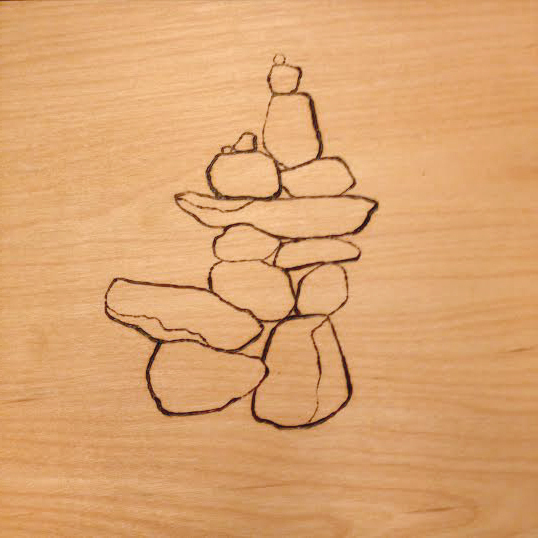 Presented as bold focal points yet as one among many, these cairns urge the viewer to be drawn to their individual simple, organic and figurative beauty, yet also feel a sense of ambiguity. We are left with a choice of whether or not to wonder if each structure represents a marker of sacred ground, a point of reference for a lost sailor, or a recreational construction with no meaning beyond that of the mark-maker’s personal experience. In earlier sketches of these shapes, I was drawn into the simple beauty of line, and found that any departure (dimensional, layered, colored) felt forced. 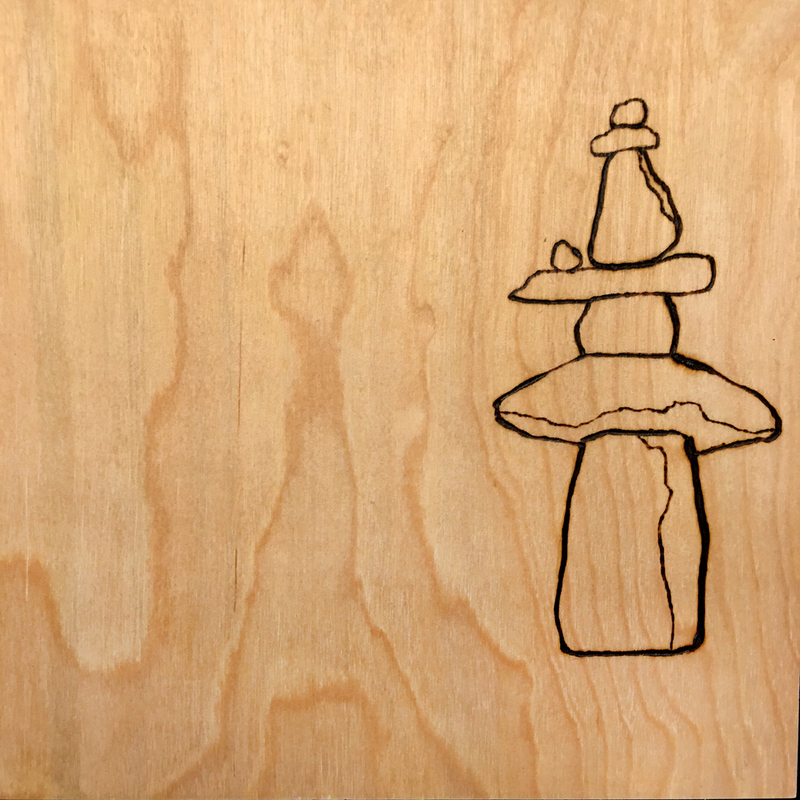 The wood grain, wood burning and beeswax oil finish all carry a close connection with the natural world, and the structured grid represents intent and organization. 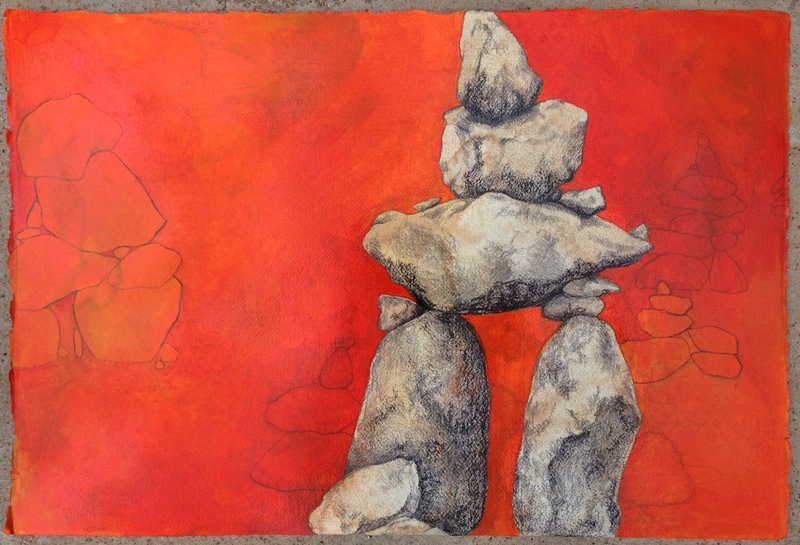 Initial prototype paintings for the Inuksuk series were completed with mixed media on paper, using color to represent the synthetic and more natural representations of the cairns serving as bold focal points.